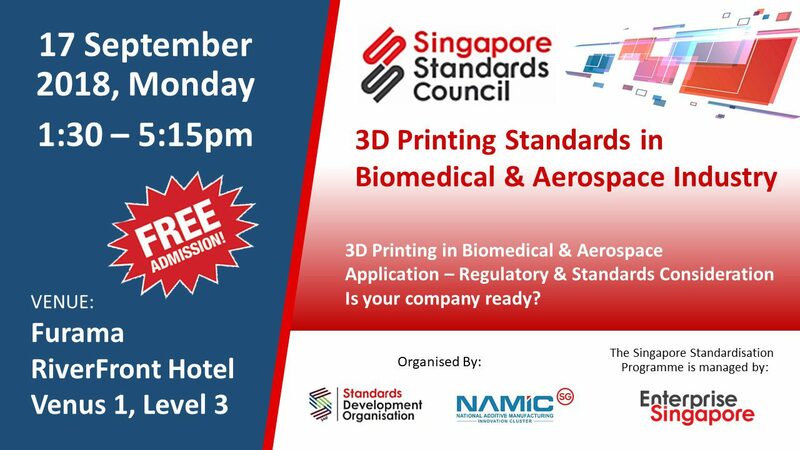 The workshop aims to introduce Additive Manufacturing Standards in the Biomedical and Aerospace Application. The workshop will give an international and local aspect in Additive Manufacturing Standards in Aerospace industry. In addition, the workshop will give insights on navigating the regulatory environment to gain market Access on AM printed medical device. Participants can learn from international and local experts who have immerse knowledge on international AM standards and the benefits that the standards can bring to their business for market access. The workshop will be held on 17 September 2018 at Furama RiverFront Hotel. Admission is free and registration closes on 13 September 2018. Hurry and do not miss out on it.